Though not without critics, the FDA has advanced regulatory processes for apps, medical devices, genomics and clinical decision support. The U.S Food and Drug Administration serves a critical role in healthcare innovation by regulating a range of medical devices and digital health tools. As the industry continues its feverish pace of advancement, the agency itself has been evolving to better vet and approve emerging technologies. Over the last year, in fact, FDA Commissioner Scott Gottlieb has put an emphasis on speeding up the process in getting technology and medications out to the public. This is evidenced by the new Pre-Cert program which would uproot the way software as a medical device is regulated, with the possibility of deeming a company safe instead of focusing on each individual product. The FDA first introduced the idea for the Pre-Cert program in August of 2017, which proposes to allow certain companies that the FDA has deemed responsible and safe in their development to build products without each new device undergoing the FDA clearance or approval process. This was followed by the launch of a pilot program, where nine companies of various sizes began developing programs using this pathway. Big names like Johnson & Johnson, Apple and Fitbit were among the first companies to go through the Pre-Cert program. But it also included up and coming players in the field like Pear Therapeutics, which is working on a digital therapeutic to treat opioid addiction, and smaller entities like Tidepool, which helps people with diabetes track their patterns. The first version of the Pre-Cert program is scheduled to launch this December, but has already had input from stakeholders and the public. Over the course of the year the FDA has released drafts of a working model for the program. In late June the FDA released the second draft of its Pre-Cert framework, where it laid out 12 categories that the agency can look at when evaluating an organization. Those areas include leadership, transparency, people and risk management. This second draft was released following a 17-page first draft in April. The first draft spells out two levels of pre-certifications within the software as a medical device (SaMD) space, one for companies with experience developing SaMD and another for businesses developing SaMD for the first time. However, in the latest draft the lines between the two levels are less set in stone; instead companies can test into either category regardless of past experience. Right now it looks like developers will have the ability to opt into the Pre-Cert program and will be able to take the traditional route if they so choose. But some are questioning if this option will create a new norm for the industry. If the pilot goes well and Pre-Cert discussions finalize in the future, startups could potentially go straight into the program before launching any products. “If Pre-Cert is done the right way, then Pre-Cert becomes something you start with and that your funders will say, let’s go to the Pre-Cert concept from day one and you’ll have a quicker path to launch,” Morgan Reed, the President of ACT | The App Association, told MobiHealthNews in February. But the program certainly has its critics. Some fear that the Pre-Cert program would actually give the FDA more power over the industry. In a recent op-ed published in MobiHealthNews, Thompson also highlighted that not all companies will be qualified to participate in the program due to the excellent standards set forth. He also called into question the FDA’s ability to inspect medical device establishments once through the program. Regardless of the criticism, according to the FDA’s webpage, the agency is currently finalizing Pre-Cert 1.0 and integrating stakeholder feedback lessons learned and other input. The agency is also in the scenario testing phase, which will look at program objectives and lessons learned. By December the first version of the Pre-Cert program will be launched. At that time the organization will also be coming out with next steps for the program. With more digital health companies cropping up across the country the FDA has announced plans to create a Center for Excellence for Digital Health with the goal of modernizing regulatory approach to help the industry while still protecting patients. 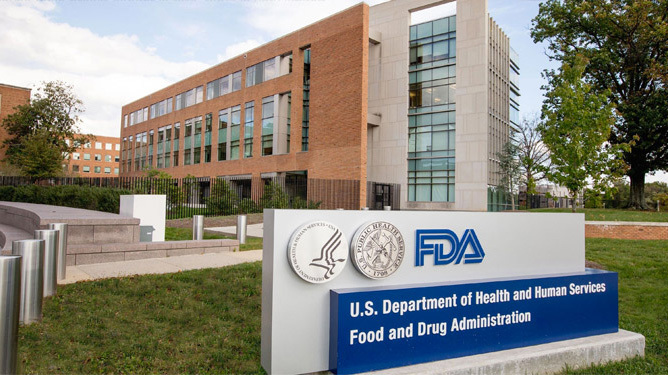 “This Center of Excellence would help establish more efficient regulatory paradigms, consider building new capacity to evaluate and recognize third-party certifiers, and support a cybersecurity unit to complement the advances in software-based devices,” the FDA wrote in a statement. The agency said the idea is to help developers create innovations that will benefit patients. The agency cited the latest medical apps launched by Apple yesterday, saying that the FDA worked closely with tech giant as they developed and tested the software. The statement went on to say that traditionally the healthcare industry has been behind the times when it comes to adopting new technologies, in part because of regulations. As consumer genomics companies like 23andMe and Helix continue to expand its reach, the regulations in this space have also been evolving. After years in the grey zone, in June the FDA finally announced a new ruling that exempts individual genetic risk tests from 510(k) premarket approval. This means that companies, like 23andMe offering genetic risk tests, only have to go through a one-time premarket review of its testing apparatus. Companies going through the new process will still need to meet the same standards as before this ruling, but they they won’t have to go through the entire approval process for each test before launch. However, if a company makes false claims they will be subject to FDA sanctions. This has been coming down the pipeline for a while. Last November the FDA announced that it was working on a new pathway for consumer genomics. But in the past genomics companies have run into difficulties navigating FDA regulations. Notably, 23andMe the FDA ordered the company to immediately stop selling its testing services until it went through the de novo process. The company eventually landed a de novo close to three years later, which allowed them to sell direct-to-consumer kits. Last fall the FDA released a slew of new draft guidances. One of the most controversial, proposed to change the way that clinical decision support tools are regulated, so that instead of a CDS device being regulated based on risk it will depend on the on the degree of human involvement. Under the new draft guidance a CDS tool does not have to be regulated if a doctor can independently review and understand the basis of the software’s decision. But others, like Thompson, who is also the CDS Coalition leader, say the draft would expand the scope of FDA regulations, and that it fails to take a risk-based approach, lumping in many low-risk programs already on the market. In February the CDS Coalition sent a letter, penned by Thompson, to the FDA, voicing its concerns and recommending that the FDA exempt low risk CDS software. Also announced last December were updates to the medical software policy based on Congressional mandates in the 21st Century Cures Act. In the Cures Act guidance, the FDA listed four categories of devices that the FDA won’t regulate, which are the same as the ones in the law that was passed in 2016, and include software used for administrative purposes in a hospital; wellness software for “maintaining or encouraging a healthy lifestyle;” EHR software; and software for transferring, storing or displaying data. While in place since 2016, it is important to note that included in the Cures Act is guidance about using real world data (RWD) and real world evidence (RWE) in healthcare decisions. Both RWD and RWE can now be used to support regulatory decision making.